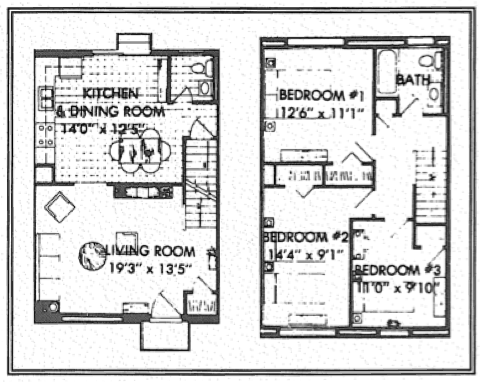 Our three bedroom units offer 1087 sq. feet of living space and feature 3 bedrooms, one and a half bathrooms, a spacious living room, eat-in kitchen and dining area, as well as a full basement. If you’re interested in our Buckingham floorplan, please contact our office to find out about availability or our wait list.